Support MBOX files of Thunderbird, Apple Mail, Gmail, etc. 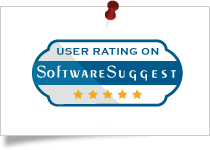 Software suggest rated Thunderbird MBOX Importer Tool 4 star due to its ability to add multiple MBOX files into Thunderbird profile at once. 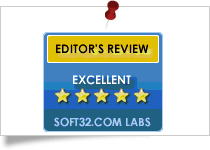 Soft32 awarded Thunderbird Import Tool a 5-star rating for being a software application free of virus, spyware, and malware. 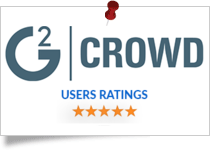 g2crowd.com rated SysTools Thunderbird Import Wizard 5 Star because of its efficiency to import MBOX to Thunderbird profiles and easy-to-use interface. Thunderbird Import Wizard facilitates selective MBOX file data import into Thunderbird 60 and other versions. With its date filter, only the required MBOX emails can be opened in Mozilla Thunderbird. A complete MBOX importer software suitable for MBOX files created in all the major email clients of both Windows and Mac OS. 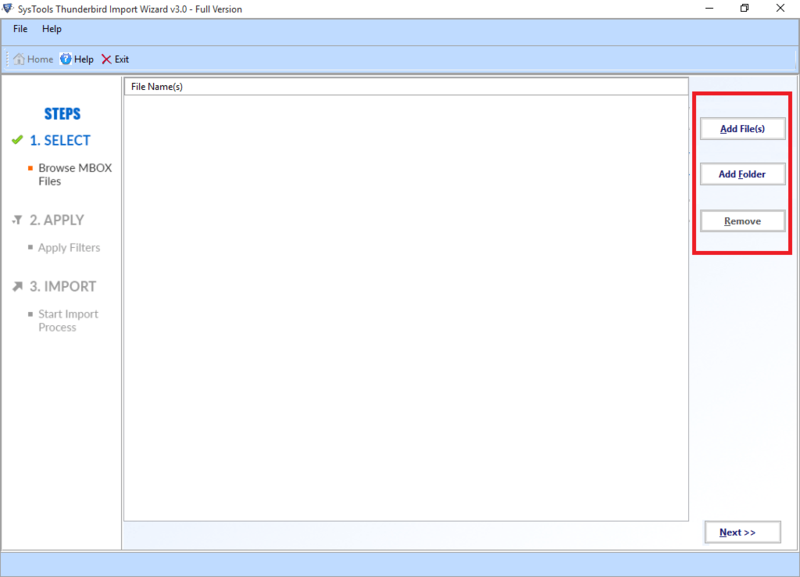 For bulk / multiple MBOX file import into Mozilla Thunderbird profiles, SysTools Thunderbird Import Wizard is a popular application. This Windows OS compatible Thunderbird Importer Tool allows users to open MBOX files of different email clients into Thunderbird. Its simple interface assists users to perform MBOX file transfer in an easy manner. If someone is changing their system and switching to a new one, Thunderbird Import Wizard can assist them in moving the entire Mozilla Thunderbird profile. Just go to the location of Thunderbird and select the profile. The Thunderbird Importer tool will easily import the full profile including the MBOX and SBD files located within it. 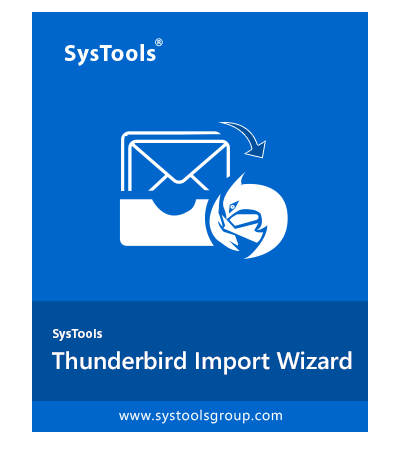 Users often face issues such as “Thunderbird not importing MBOX through ImportExportTool.” To avoid such inconvenient situations, Thunderbird Import Wizard is a better option. Here we have listed the aspects in which this software supersedes ImportExportTool. ImportExportTool is not compatible with all versions of Mozilla Thunderbird. When MBOX files are moved to Thunderbird via this add-on, data loss may occur. Embedded images of MBOX emails imported by Add-on do not get displayed properly. Fails to import attachments while importing MBOX emails with attachments. This add-on may give rise to issues during its installation process. Thunderbird Import Tool supports all available versions of Thunderbird email client. There is no risk of data loss when this utility is used to import MBOX to Thunderbird. Emails imported by Thunderbird Importer display embedded images in original format. MBOX Import Tool can be installed on systems with Windows OS 10, 8.1, 7 etc. 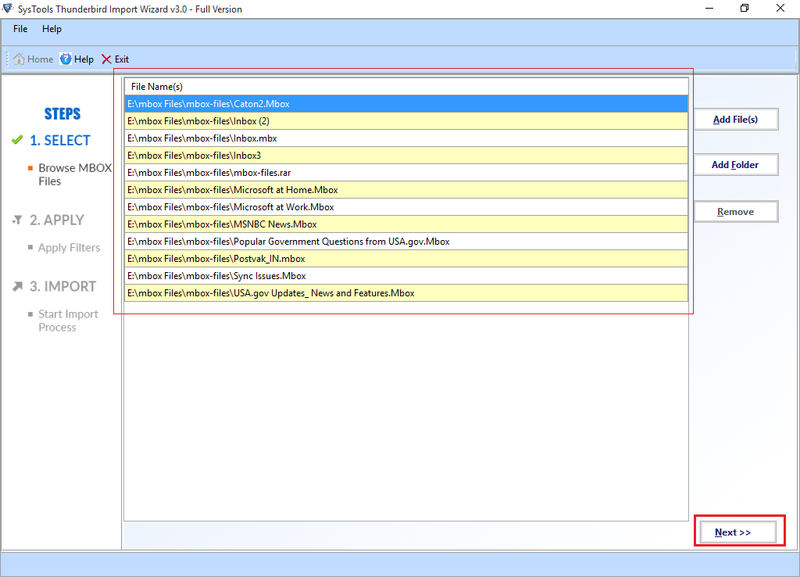 The utility imports MBOX file and TB profile without any error or data loss. or corruption. SBD Source File As this is a sub-directory file, browse through it to find the MBOX file and import MBOX to Thunderbird using the software. MSF Source File Since MSF file contains only the index, Browse to add related MBOX file to import MSF to Thunderbird. The main function of this utility is to add MBOX file into Mozilla Thunderbird 60 Email application. Along with normal emails, the tool can also import MBOX file emails containing various attachments. Once the import is done, restart Thunderbird application to view and open the imported MBOX data in Thunderbird. 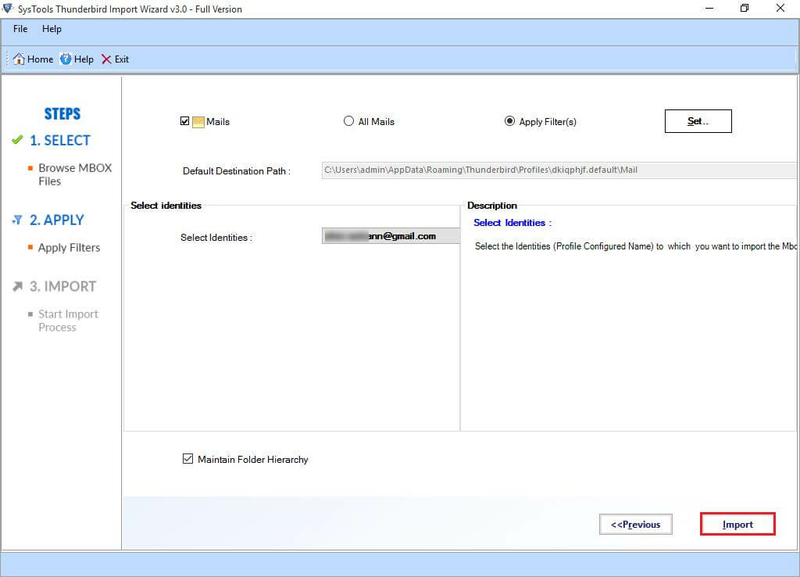 Thunderbird Importer software automatically detects all the profiles that have been configured in the installed Thunderbird application. This includes even the POP and IMAP configured email accounts. Users can easily choose their target profile from the list and the software will move MBOX data to the chosen Thunderbird profile. The software offers users options to add one or multiple MBOX files to Thunderbird at the same time. Based on the requirement, users can choose between the options. Add Single MBOX File: This can be done with the help of Add File(s) option. Add Multiple MBOX Files: To add multiple MBOX files, users can choose Add File(s) options. They can also choose Add Folder option to add all MBOX files located in a folder at once. Add Thunderbird Profile: Use Add Folder option to add the entire Thunderbird profile. Along with the facility to add MBOX data into the default Thunderbird profile, Thunderbird Importer lets users move MBOX to other profiles. POP Configured Account: Any POP configured account is suitable for MBOX file transfer by this software. IMAP Configured Account: For IMAP configured account, import into the Local Folder and then drag and drop the imported folder to IMAP account. Local Folder: Any MBOX file can be imported into the Local Folder of Thunderbird email. The application will let users import selective data / emails from the added MBOX files into Thunderbird email application. Using the built-in date-based filter, users can enter the required date range by filling the From date and To date fields. Afterwards, the application will transfer the emails of only the particular date range to Thunderbird. MBOX files created in all the major email clients are supported by this MBOX to Thunderbird file importer software. 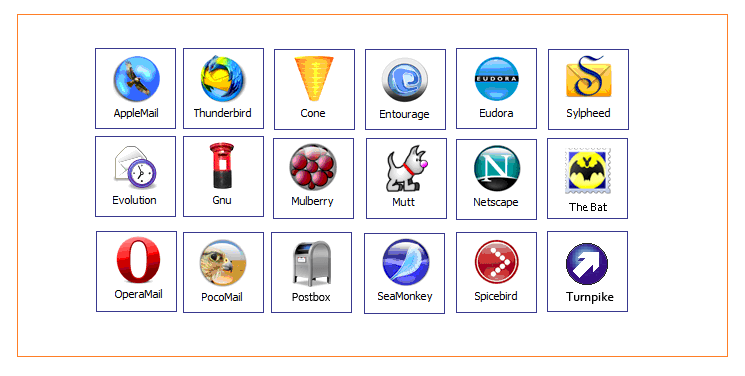 The supported email applications include Thunderbird, Google Takeout, Google Vault, Opera Mail, Seamonkey, Netscape, Mulberry, etc. This application is also compatible with MBOX files created in Mac OS email clients like Apple Mail, Entourage, Eudora, etc. When “Maintain Folder Hierarchy” option is chosen to import MBOX to Thunderbird account, the imported MBOX emails are saved in a new folder outside all the existing Thunderbird folders. When this option is not selected and a folder already exists with the same name as the MBOX file, the imported MBOX file data will get merged in that folder. Even after moving the MBOX files of different email clients into Thunderbird using Thunderbird Importer, there will be no changes in the metadata of the source MBOX file. 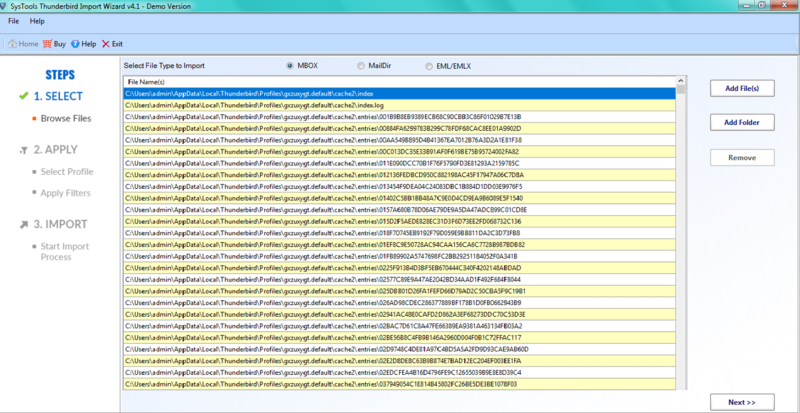 Besides data integrity, the tool also keeps the header information, read/unread status, etc. intact after importing MBOX file to Thunderbird. When it comes to opening MBOX files in Thunderbird, the software is the perfect choice. Since there is no file size limitation, users can import MBOX files of any size to Thunderbird 60 email using this tool. Even in case of large-sized MBOX files, the software works fine and moves files without any data loss. Thunderbird Import Tool is a Windows-based software that can be run on any Windows run computer / laptop. It is compatible with Windows 10, 8.1, 7, and all lower versions of this operating system. The tool also supports 32-bit as well as 64-bit versions of Windows Operating System to add MBOX to Thunderbird 60. How can I use Thunderbird Import Wizard to import MBOX to Thunderbird? Why does not Thunderbird display imported MBOX file? “The application showed that the MBOX import has been successful, but I do not see any imported data in my Thunderbird. Why is this happening? If your Thunderbird program is open during the import process, then you have to close it and start again to view the imported MBOX data. Why cannot I import MBOX to Thunderbird profile using this tool with Thunderbird setting set as maildir? If you cannot find the transferred MBOX data in Thunderbird, check the Advanced Configuration settings of your Thunderbird account. The Message Store type has to be set as MBOX for this tool to work. If it is set as Maildir, the import will not be successful. What is the maximum file size for MBOX file supported by this software? There is no file size limit as users can add any size of MBOX file to this Thunderbird Import Tool. “I have a folder full of MBOX file that I want to add to Thunderbird profile. Can I easily import all the files to Thunderbird Import Wizard? Using Add Folder option of the software, users can add all MBOX files at a time to this tool. Does this application support importing Opera Mail MBS file to Thunderbird? Yes, MBS file created in Opera Mail is a type of MBOX file. This tool can be used to import MBS file also. How to import MBOX files into Thunderbird IMAP configured account? When users choose the IMAP profile as the destination, the tool will show a warning message and ask users to choose Local Folder as their destination. When the data transfer is done, MBOX file data can be easily dragged from Local Folder section to IMAP account. I am having an MBOX file but do not have Thunderbird email application installed on my PC. Will this software still work? Note: If the Thunderbird application is no installed on your PC then you might receive the following error message while trying to add MBOX file using Thunderbird Import Wizard tool. I have installed Thunderbird on my Windows PC still I am getting an error message which is: "Please configure Thunderbird account to proceed further." Please configure any of your email accounts (gmail.com, yahoo.com, etc.) in Mozilla Thunderbird to begin to add MBOX to Thunderbird using Thunderbird Importer utility. I was tensed as I did not know how to import an MBOX file inside Thunderbird application, as it was quite important for me to save the data files. Then, I came to know about this Thunderbird Importer software. It is really simple and easy to use utility. The best thing about this utility is that it saved my time. A few months ago, I was facing some serious trouble while importing Apple MBOX in Thunderbird. The Thunderbird Import application is very useful and time-saving utility that helped me to open MBOX mailboxes in Mozilla Thunderbird in original format. Thank you so much SysTools. I have been using almost all the solutions of this company for resolving any technical issues. Like other tools developed by SysTools, the tool was also successful to add MBOX files to Thunderbird without any data loss. 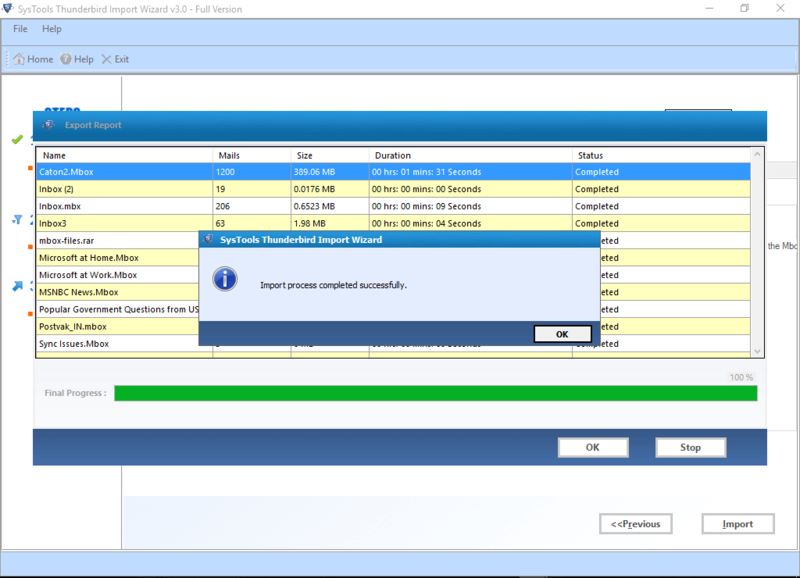 SysTools Thunderbird Import Wizard is a truly effective software. For obvious reasons, it was not possible to import Gmail MBOX to Thunderbird manually. However, this tool helped me a lot by importing multiple MBOX files to Mozilla Thunderbird Windows easily and without any file size limitation.